I enjoyed watching people play Microsoft’s Sea of Thieves during the beta. It looked like a proper sailing simulator and the crew mechanic was nice. 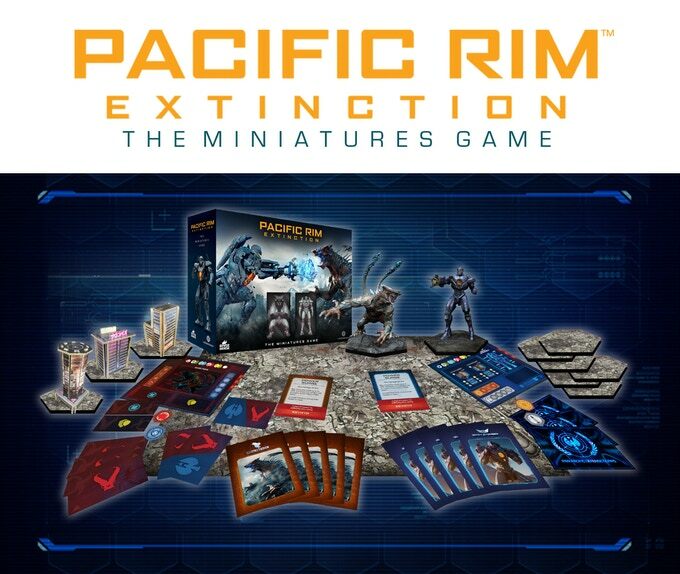 In fact, I can see Twitch and Patreon perks quickly being used in conjunction with populating a crew. Titan Comics has a comic book from writer Jeremy Whitley coming out too with art by Rhoald Marcellius. It’s a lot of fun. 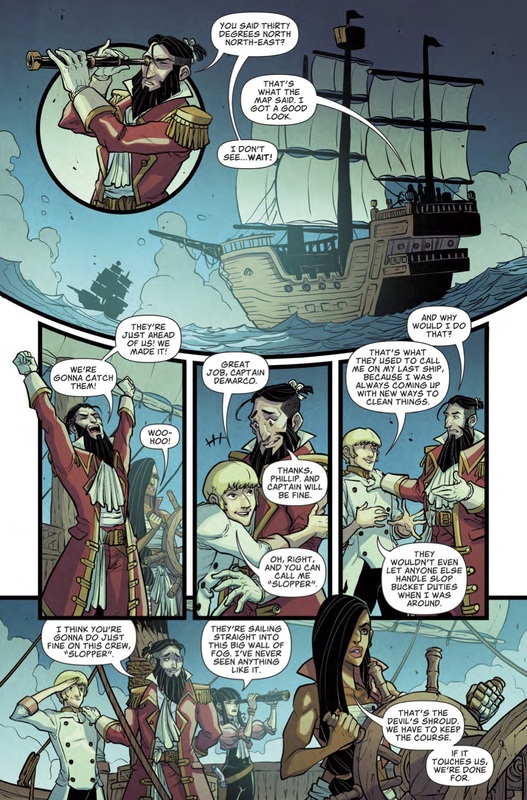 First off let me tell you that I mistook the female pirate captain for a man in the first panel or so – despite the clues that we were about to meet a famous pirate’s daughter. This is great. 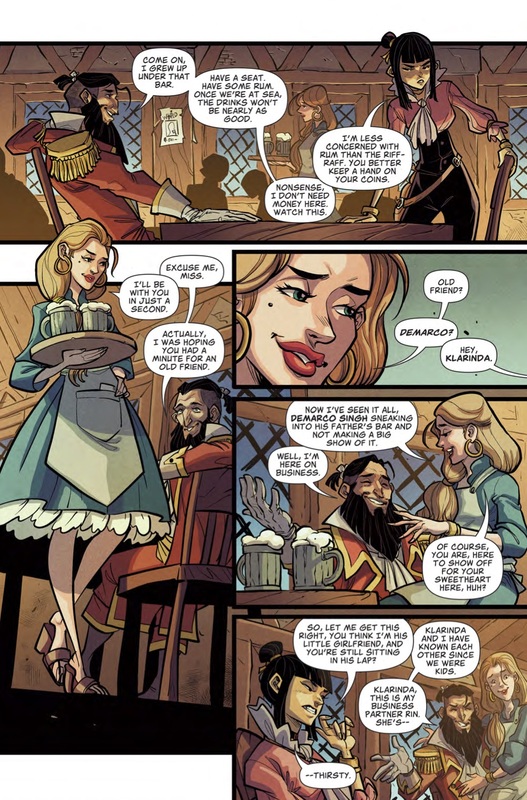 I can’t claim that Marcellius and Whitley have gone for sterotypical buxom wenches and pirates in corsets. 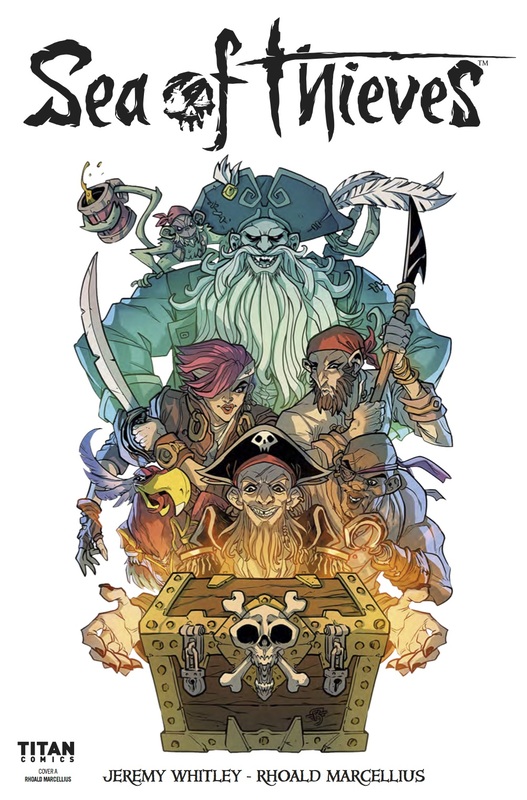 In my Twitch viewing I exclusively saw female gamers end up with male pirate characters but I did see female crew mates on the ship. Sea of Thieves is all about typical pirate fun, though. There are cute blonde pirates who seem like a ton of fun and cheeky at it. There are slender asian assassins in tight fitting trousers and swarthy skinned first mates among the female characters. There’s also hulky warrior pirates covered in tattoos and charming chancers who talk their way into trouble as quickly as they talk there way out of it. 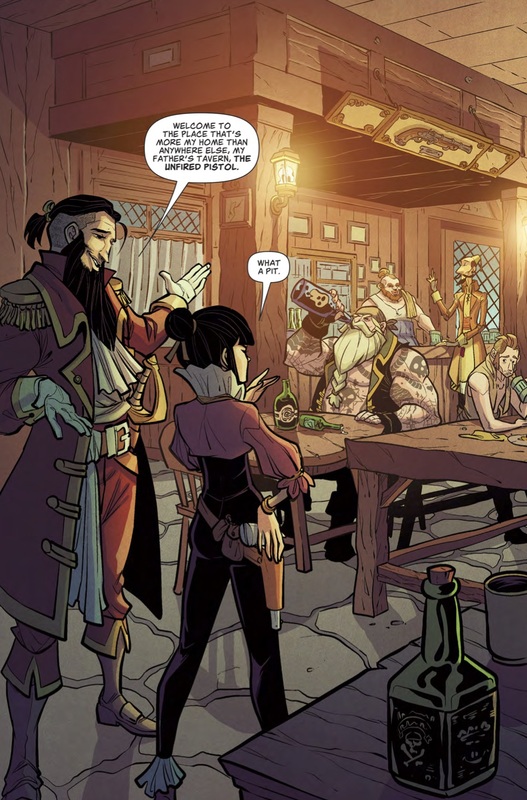 In short; the comic book for Sea of Thieves manages to strike a clever balance between tried-and-tested and suitably modern. 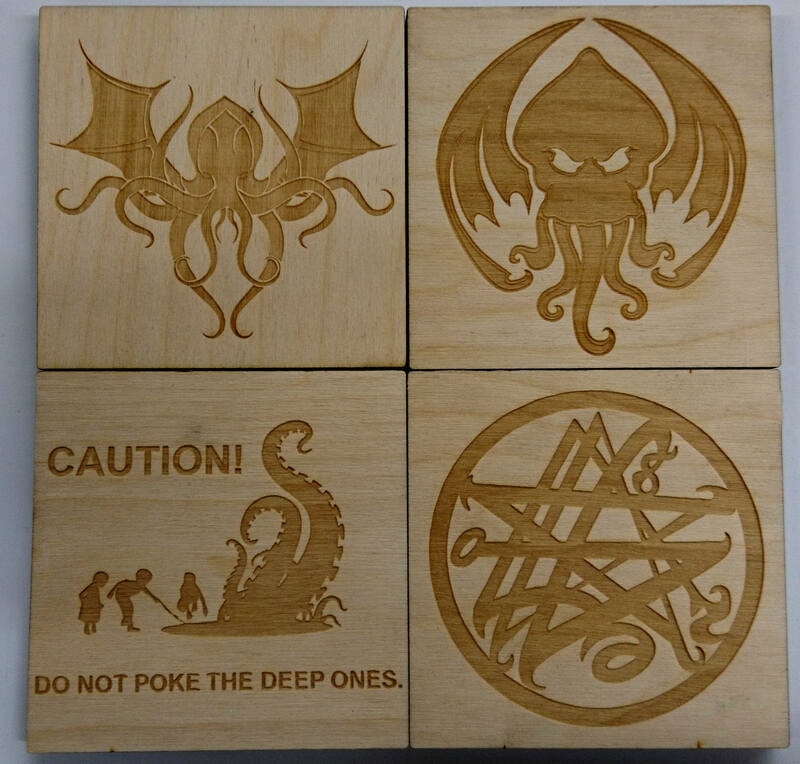 I suspect the game will appeal most the latter. 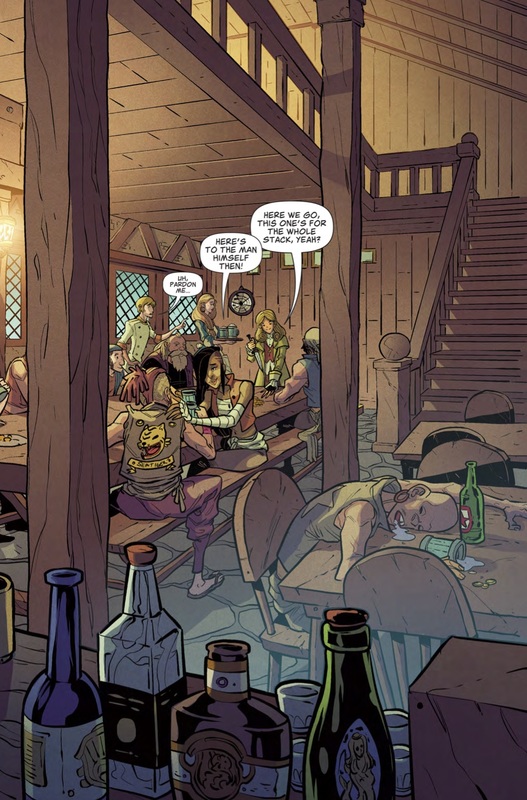 There’s enough of a Sea of Thieves issue #1 preview below for you to judge the artwork and the writing for yourself. I found the illustrations to be colourful and bold. We had busy actions scenes in which every movement was crisp and clear. 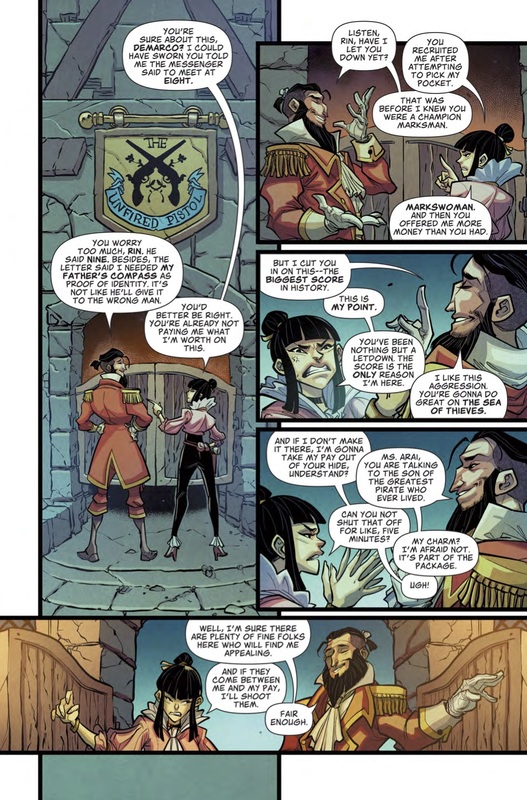 We had pirate dialog which was easy to follow and a ton of plot and lore unfolded in just a few panels. 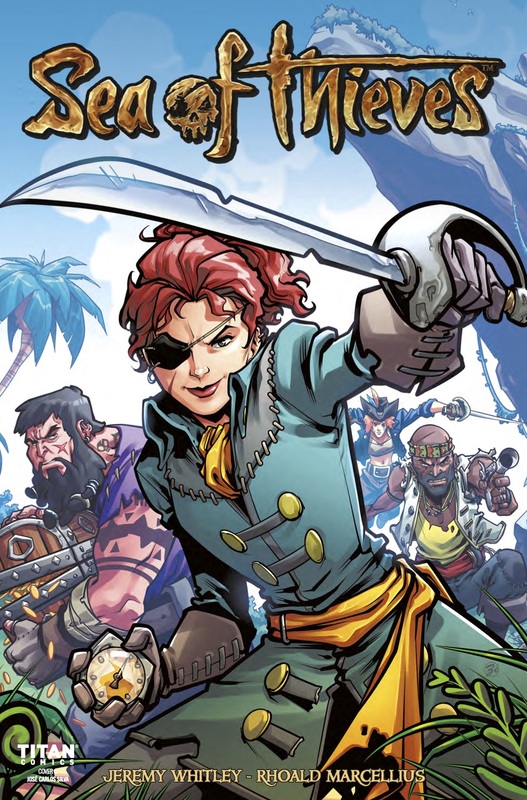 I had just assumed the Sea of Thieves comic book was just some marketing department ticking ‘transmedia’ off on a checksheet somewhere (and maybe so) but this first issue promises something far better than that. 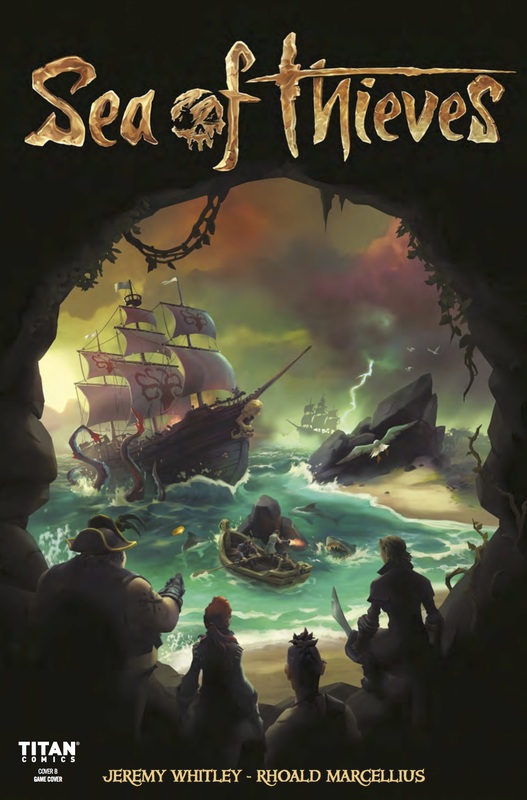 Sea of Thieves issue #1 hints at the same level of quality and scope as the beta access did these last few days. I’m looking forward to both.